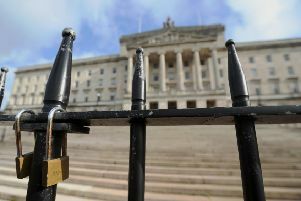 The UK Government has appealed to Northern Ireland’s political leaders to step back from the brink of the current political crisis. Northern Ireland Secretary James Brokenshire told the Commons the situation at Stormont following Deputy First Minister Martin McGuinness’s resignation was “grave” and a snap election was now highly likely. The departure of Sinn Fein veteran Mr McGuinness amid a row over a green energy scandal forced Democratic Unionist First Minister Arlene Foster from office as well. Theoretically the parties have seven days to resolve their differences before Mr Brokenshire has to call a poll. However, Mr McGuinness has made clear there will be no going back to the status quo and his party is preparing to face the electorate. Mr Brokenshire expressed concern about the consequences of an election, raising the spectre of a return to direct rule. He urged the leaders to work together to find a resolution and safeguard the progress made under the peace process. “We must not put all of this at risk without every effort to resolve differences,” he said.